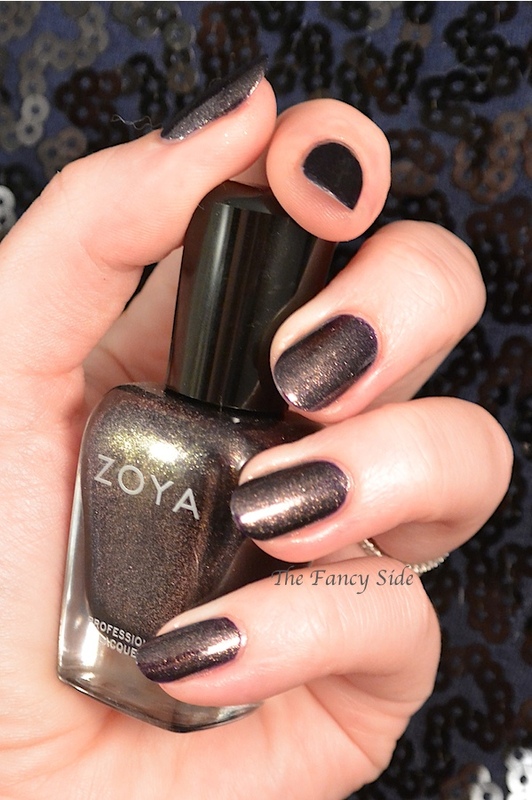 Today I have Zoya's Ignite collection to show you. These are all described as liquid metals which isn't always my favorite finish, but let me tell you that this collection has won me over. They are so pretty! 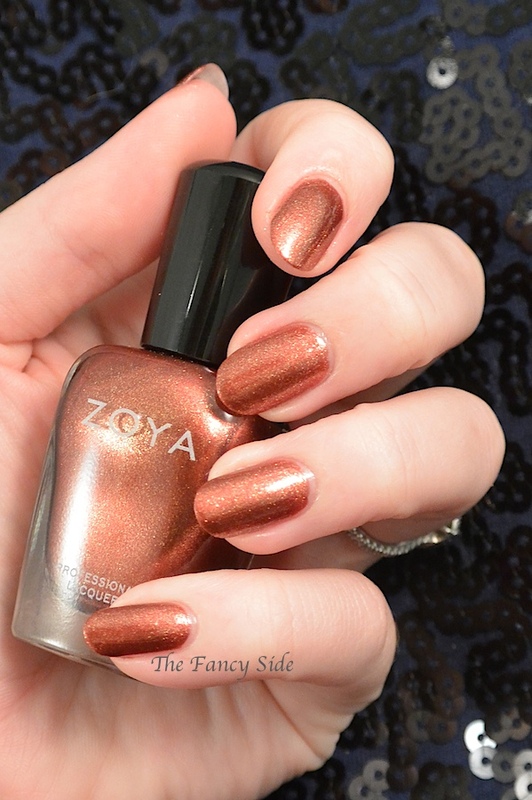 First up I have Zoya Autumn, which is described as "varnished copper liquid metal." I would say that it is fall in a bottle. The perfect polish to bring in a new season. This is 3 thin coats, but you could easily do 2 thicker ones. 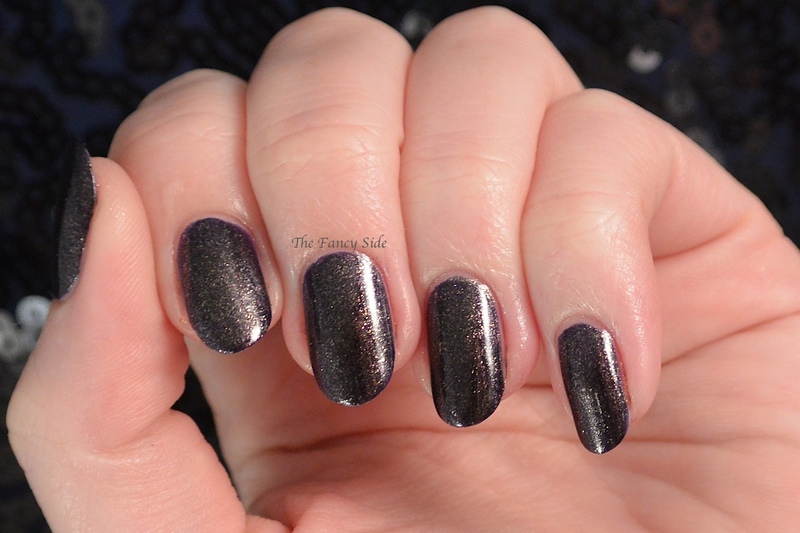 Sansa a "deep eggplant with a gold metallic sparkle." It's a dark deep purple that really shines in the light. This one killed me with its prettiness. I applied 2 coats for full coverage. Remy is so pretty. It's a favorite for me in this collection. 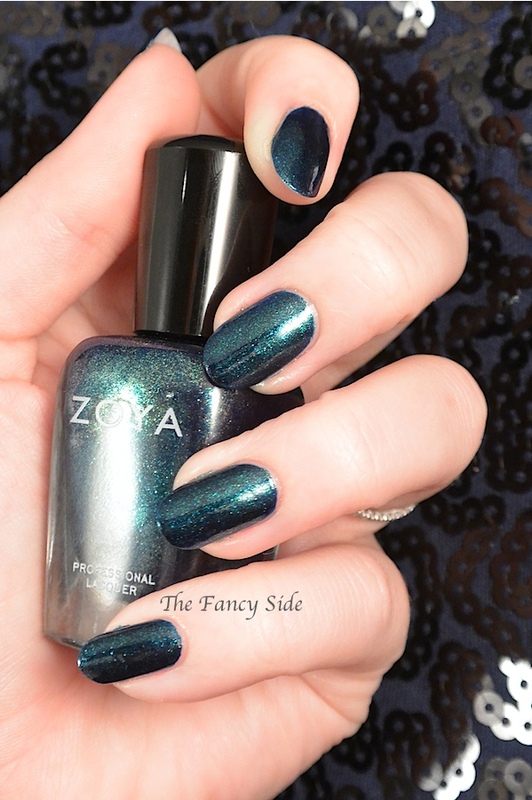 This blue teal polish is described as "brilliant indigo with copper and gold liquid metallic." 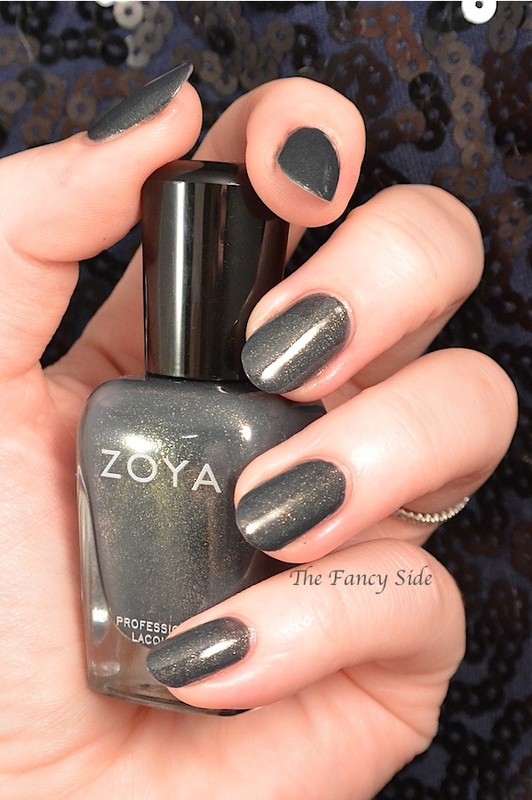 Remy was opaque in just 2 easy coats. 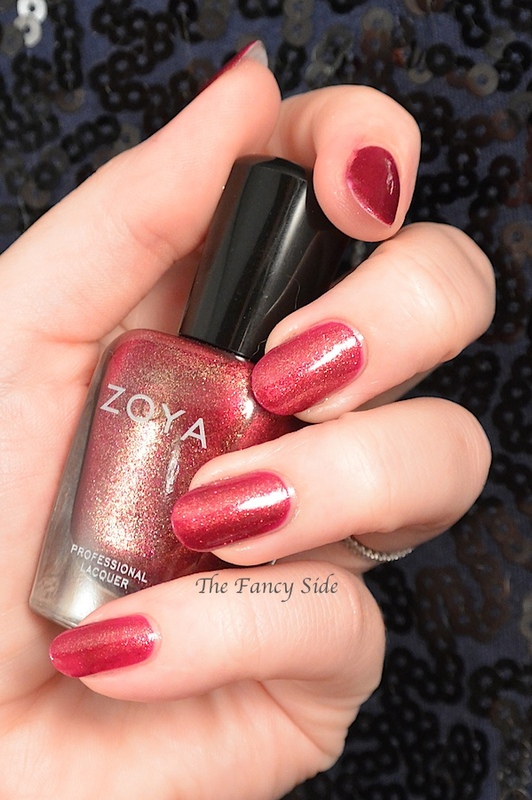 Next we have India a "deep luxurious red with a gold liquid metallic shimmer." This one reads as a chocolatey red on me, if that makes sense. I used 2 coats for this look. Second to last is Yuna! YUNA you have my heart. 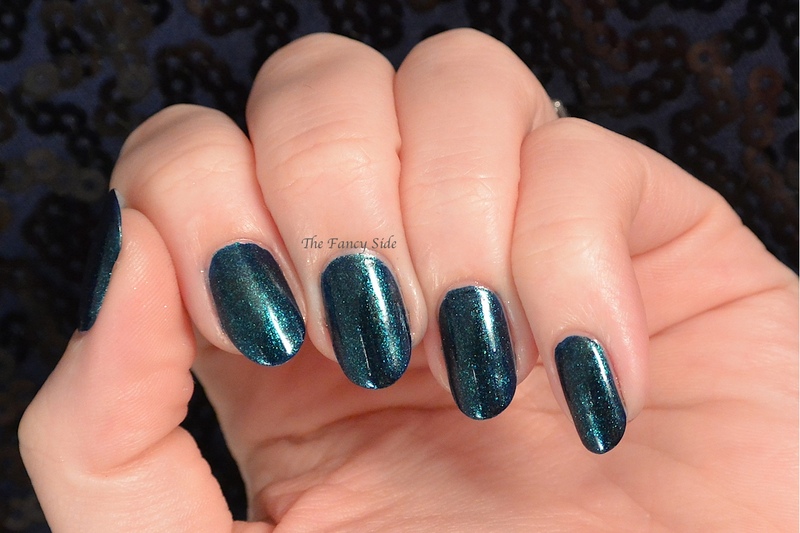 This polish turned me into a fangirl for a hot second. 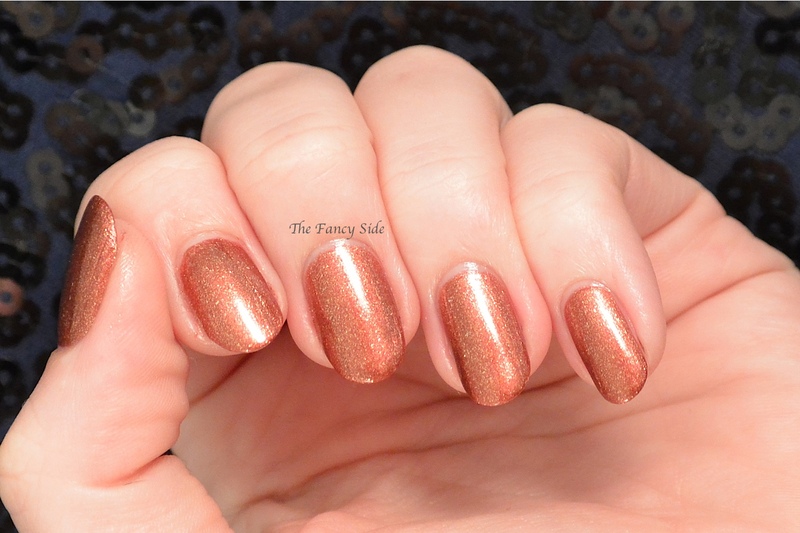 Described as a "warm grey with copper and gold liquid metal" Yuna stole my heart, her flawless formula that applied easily in 2 coats helped. Finally we have Teigen. Teigen fully covered in 2 coats and was easy to apply. 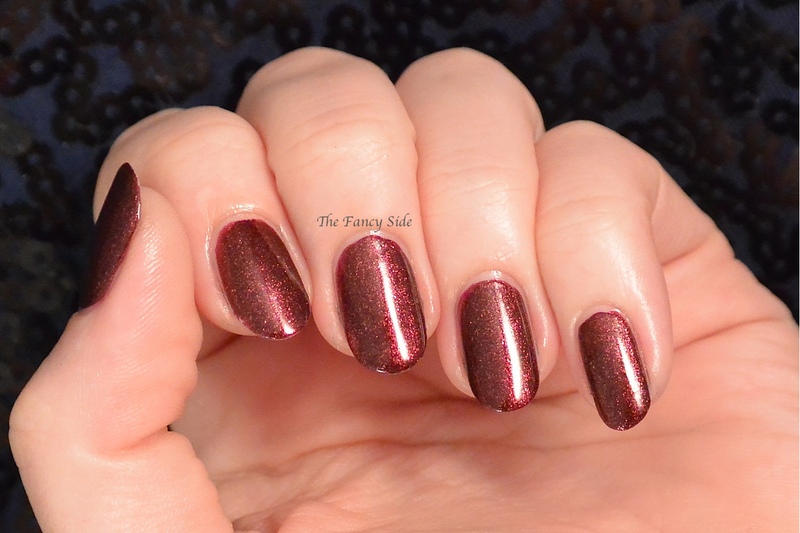 She's described as a "pink toned cranberry with a copper liquid metal." Like I said, I love this collection. 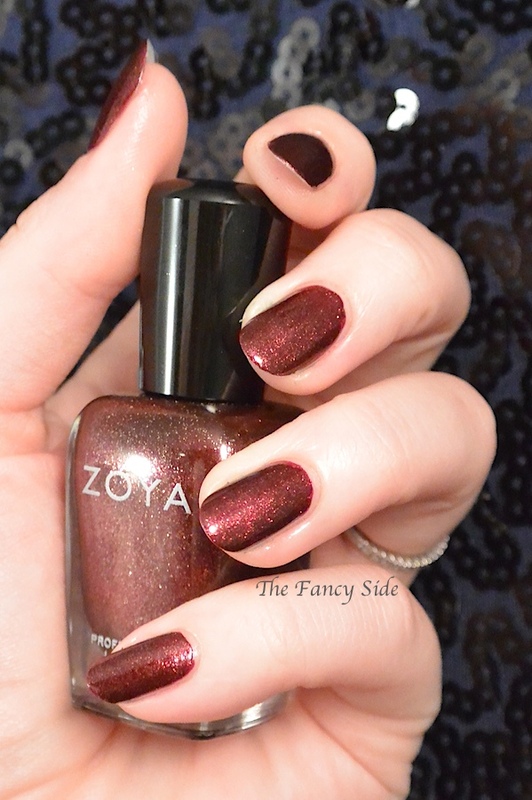 I never understand why Zoya doubles up on reds/pinks in their collections, but that doesn't take away from how pretty they are. Which ones are your favorites? Yuna is the big favorite for me, but I love Autumn, Remy, and Sansa too. Heck, I love them all! You are right. They are the bomb.